People have used marijuana, or cannabis, for more than 5,000 years. The plant has a long history of use as a herbal medicine all over the world. Today, marijuana is promoted as a potential panacea that can cure whatever ails you. However, this herb has got a mixed reputation. Its medical value still raises many questions. Let’s answer some of them. Why is medical marijuana beneficial for your health? Delta-9-tetrahydrocannabinol (THC) – the main mind-altering ingredient that makes people “high”. 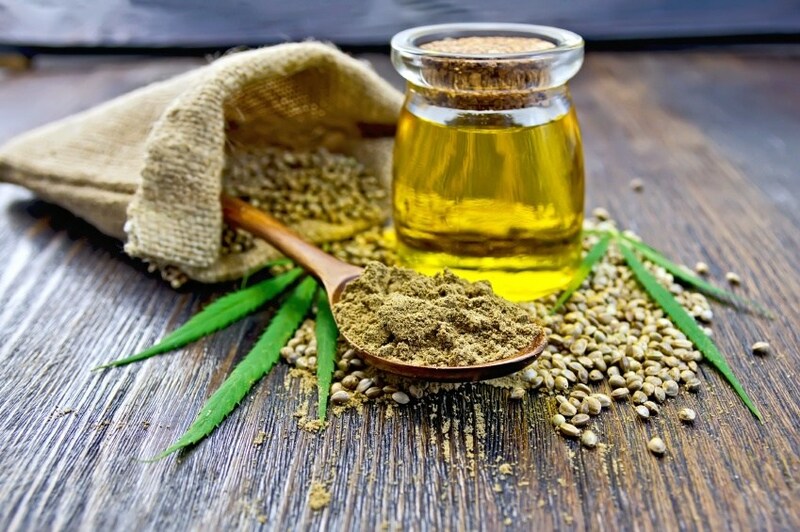 Cannabidiol (CBD) – another active ingredient that lacks noticeable psychoactive effects but has valuable medicinal properties when it works together with THC. It’s interesting that THC and CBD don’t naturally occur in their active forms in the cannabis plant. They are produced simultaneously out of cannabigerolic acid when burned in a joint or heated in a wax vaporizer. Eating raw cannabis won’t cause any noticeable changes in cognition or functioning. Diseases that affect the immune system, including HIV/AIDS and multiple sclerosis. Mental disorders, including schizophrenia and posttraumatic stress disorder (PTSD). Cannabinoids are not proven to assist in treating many of these conditions. So far, there’s enough clear evidence that cannabis can play the therapeutic role in chronic pain management, decreasing nausea and vomiting during chemotherapy, and relieving spasticity (stiff or tight muscles) due to MS.
How to take medical marijuana? A joint, a pipe, and a bong (water pipe) are traditional ways of taking marijuana. A water pipe is more advisable for smoking dried leaves or buds, given the fact that the cool smoke doesn’t irritate the airways as smoking a joint does. Dry herbs/flowers, oil, and wax are the most popular forms of cannabis for vaporizing. This method is better than smoking and here’s why. When the substance is burnt, many harmful chemicals, including carcinogens, are produced. Smokers inhale them together with useful active ingredients. When patients use a wax pen or other types of a vaporizer, they inhale the vapor. The process doesn’t involve combustion. A wax vape pen heats the material and produces vapor rich in cannabinoids and free from undesired chemicals found in smoke. Non-smoking patients prefer edible medical marijuana. It comes in a variety of forms, such as cookies, brownies, candies, or mints. Many dispensaries also offer such edible cannabis drinks like teas, smoothies, juices, sodas, and so on. Putting a few drops of oil or tincture under the tongue (sublingual) or spaying the gum line (oramucosal) also provides a quick effect. These methods are also recommended for non-smokers. Patients who have skin inflammations, muscle aches, and pains, or arthritis are comfortable with topical administration of cannabis. They apply a balm, lotion, ointment, or cream on skin and the substance is absorbed transdermally. The body releases its own cannabinoid chemicals. To some extent, they are responsible for regulating pleasure, body movement, appetite, memory, awareness of time, thinking, concentration, pain, and the five senses. Your body has cannabinoid receptors that are in your organs and biological systems. When these receptors are activated by marijuana, the healing process begins. It turns out that cannabinoids put your body back into balance. Low doses of medical marijuana may have little to no side effects. Some report dry mouth and fatigue. If the doses are higher, patients may experience dizziness and mood swings. Overuse may lead to paranoia and hallucinations. Other possible side effects are bloodshot eyes, fast heartbeat, low blood pressure, and depression. The drug can damage judgment and coordination. So, it’s strongly recommended to refrain from driving while under the influence of medication. Many ask if medical marijuana is addictive. Several studies show that patients who stick to a recommended low dose face a minimal risk of developing an addiction. Because smoking cannabis produces many of the same dangerous chemicals found in tobacco smoke, some experts suggest that it could be harmful to the lungs. For those who want to inhale cannabis but avoid potential risks, vaping is a right choice. Just choose the best vape pen for oil, herb, or wax. At the time this article was written, 31 states have legalized the use of marijuana for medical purposes with varying restrictions. But the Federal Drug Administration (FDA) still keeps it in a list of Schedule I drugs. That’s why it remains illegal at the Federal level. Perhaps, that’s why medical marijuana is not covered by insurance. To buy it in a state where it’s legal, you’ll need a prescription, authorization, or medical recommendation. You may wonder why the FDA hasn’t recognized medical marijuana as a remedy. The reason is the lack of studies to prove its efficiency and safety. Researching of this issue is an intricate task. Given that marijuana is a Schedule I substance, scientists have to get a special license to study this herb. As you can see, we still don’t know whether we can call marijuana a medical miracle. The only way to discover that is research, which remains difficult to do. But if you’re thinking about this way of treatment, it’s mandatory to consult a doctor who can examine your individual case. Frances is a blogger and wants to become a professional writer. She is interested in the mental and physical well being along with healthy lifestyles. In her posts, she focuses on the main problems of smoking and drug & alcohol abuse to suggest the most suitable solutions. Previous Previous post: Is Knowledge of English Enough for Eco-Tourism in Japan?